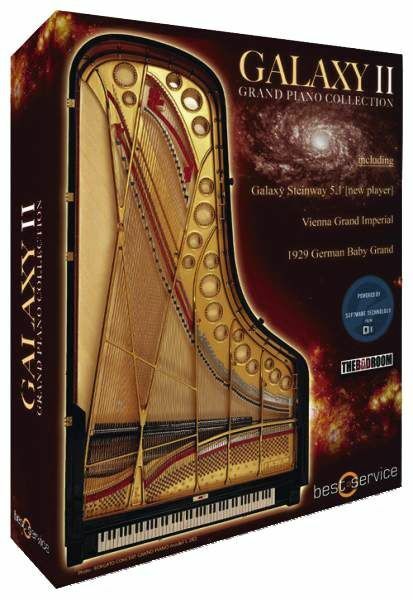 Overall, Galaxy II is the best piano ROMpler we've ever had the pleasure of playing. We've seen our fair share of piano ROMplers here at Music Radar, so it takes something special for us to really sit up and take notice. Galaxy II is just such a beast, offering a substantially superior experience to other virtual pianos, and a degree of control over the sound rarely seen in a ROMpler. The quality of the recorded samples is superb - the included Steinway D, Bösendorfer and Blüthner are all captured at pristine quality. But perhaps the most impressive aspect is the way that Native Instruments' Kontakt Player 2 has been used to give the user control over all of the important aspects of the sound, including dynamics parameters for punching up or softening the patch, and noise controls for adjusting the level of hammer, damper, pedal and string noise. As well as the array of traditional piano patches, some more esoteric global presets are supplied, including lush pads and warped tones. While the former simply layers the pianos up with some fairly generic samples, the effect works really well, and the wide variety of timbres available right off the bat is a great touch.